Dinosaur Comics - January 22nd, 2014 - awesome fun times! –I ALSO thought they were just trying to get out of eating their kale! January 22nd, 2014: This comic is a more practical update of T-Rex's advice from 2009! That guy is just FULL of good smoochin' tips. 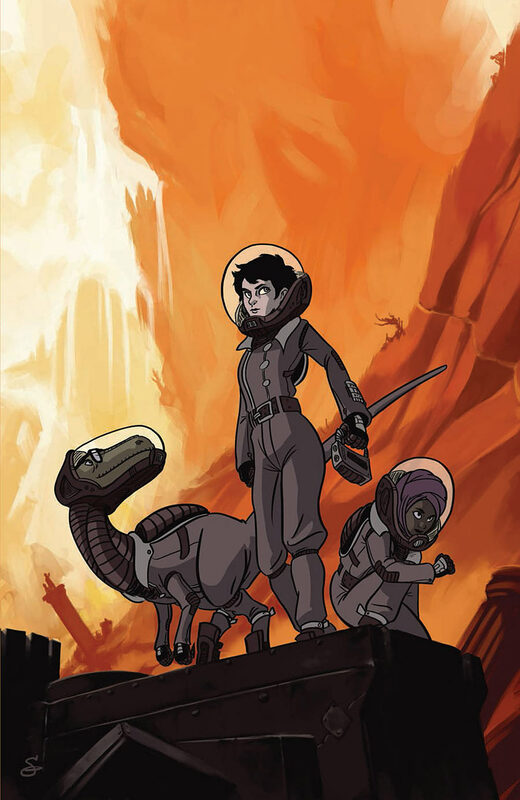 Today is the release The Midas Flesh #2! And if you go to your local comic book shoppe they'll likely have it as well as #1, because since #1 sold out we did another printing (with a Jess Fink cover!). This issue has covers by John Keogh and Aaron Diaz.